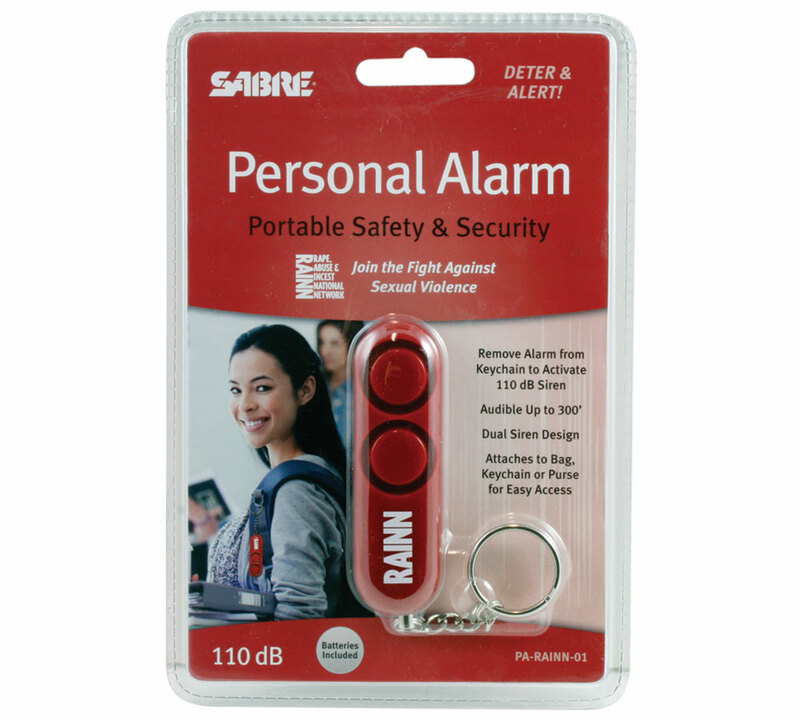 This Personal Alarm from Sabre has 110dB dualsiren audible for up to 300. The Personal Alarm is great for students moms runners seniors service industry personnel commuters nurses or anyone who wants an added layer of help in a possible emergency. It has a chain and ring for easy portability attaching to a purse backpack or keychain. The sturdy plastic housing has a bright red finish. Batteries are included. Sales of this item benefit RAINN.